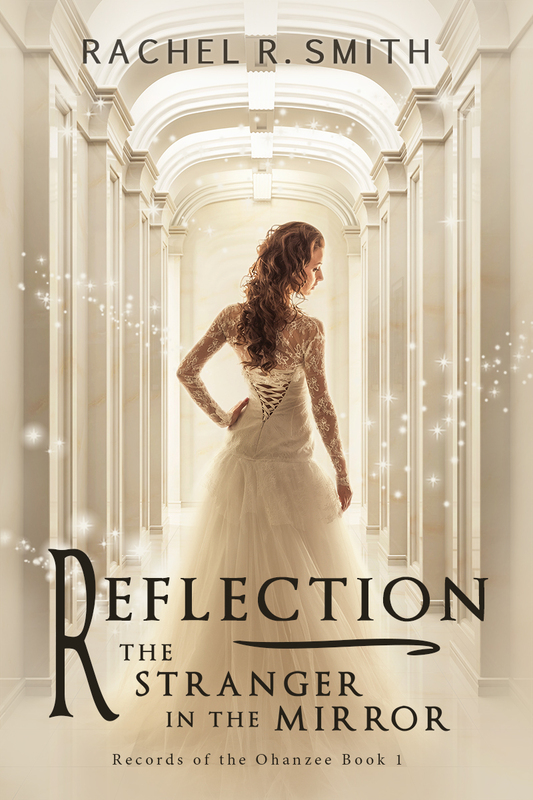 In addition to the ongoing work to revise the paperback cover for Reflection: The Stranger in the Mirror, I decided to revamp the Ebook cover as well. For this format, I chose to go in a completely different direction both in terms of the image itself and by working with a designer. The result, which I am completely in love with, is below. Credit for the artistic work goes to West Coast Design. My concept for the new Ebook cover(s) is to showcase a different character on each one. Thus, this cover focuses on the main character, Neirssa, at the outset of the story. My plans are for the second book to feature Caeneus, the third Raysel, and the fourth Rian. I feel like having an actual person on the cover gives more of an instant connection to the reader than an object–even if the object(s) are items exactly from the story. As one of my commenters pointed out on another platform, if the reader has no idea of the significance of the item right off the bat, it’s not really interesting to them until after they read the book. Since the feedback on the paperback cover version still seems to be mixed, I’m thinking that I may opt to have a full wrap version of this cover made and just have both formats be the same. Love it, yay you yaass. Congrats. Haha thanks, see why I had no willpower to wait?? How muxh does West Coast Design charge for their covers? That cover looks awesoms by the way. Whats the book about? Also, thank you! I love how it came out. The book is the first in a fantasy series about a girl who is next in line to the throne. When her family is assassinated by the neighboring King, she sets out on a quest to take back the country. The first book is about the events immediately prior and following the masquerade ball, which is when the attack takes place. Wow! !it looks great!! Did you write it? just out of curiosity lol!! WOWEE!! That is just amazing!! I am going to read this for sure!!!! Is it hard? How long did it take? i am TRYING!!! to write a book, and I keep getting new ideas, which I cant choose between, and yeh, its making me mad!! especially, cos im not the sort to give up!!! Are you planning to write nything else? Also, can io do one of those blogger interview things with you? Thanks a lot. Thank you! The story is written for high school/college level. I have sample chapters on my blog (here: https://recordsoftheohanzee.com/sample-chapters/) if you want to see if you would enjoy reading it. Ohh,really! !That helps a lot!!Thanks!!! Do you know hen I can do the bloger interiew? This book was newly written, bet its amazing!! beautiful cover! i completely understand your urge to do a redesign when you decided you were unhappy with the original/that it wasn’t having the impact you hoped for and applaud you for listening to your gut. i feel the same way about the cover of my first book To Thee is This World Given. it’s only been out since june, but i realized right a way a different approached would make a big improvement.I also applaud your courage to revise the 2nd edition. Thank you! I really did like the original cover, but if the opinions on it from readers are mixed then it’s for the best to change. Best wishes to you on To Thee is This World Given as well! Good new cover. Thanks for visiting my blog.